The battles of Legend of the Five Rings: The Card Game are fought on many fronts. Bushi clash with steel in the fields of Rokugan, on its mountainsides, and within the walls of its fortified cities. Courtiers vie for the Emperor's favor within the courtyards and walls of the Imperial palace. At the border between Rokugan and the Shadowlands, samurai fire volleys of arrows and rely on fingers of jade to protect them from the corruption beyond their walls. And the empire's shugenja train themselves to commune with the spirit realm and draw power from the kami who reside within it. Similarly, the Organized Play program for Legend of the Five Rings: The Card Game offers many different ways to explore Rokugan and its conflicts—and there will soon be more! 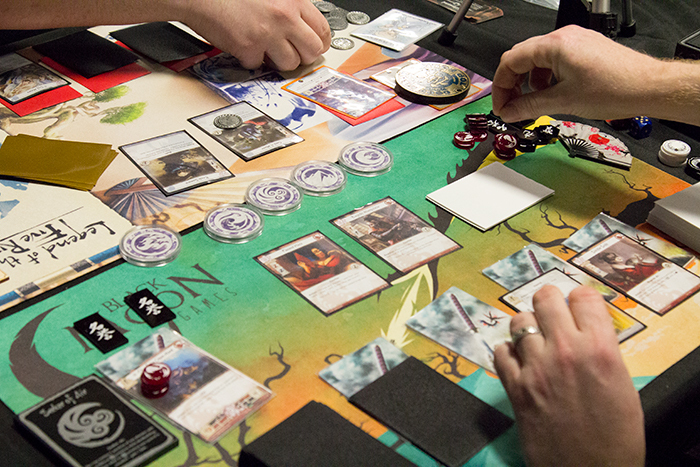 Seasonal Stronghold Kits support the ongoing battles at your favorite local game store. Kotei series events allow you to represent your clan against the greatest players in your extended region. And the Winter Court World Championship honors a new Shogun each year, presenting that player with a chance to steer the fate of Rokugan. Additionally, at the Winter Court World Championship, the top finishers from each clan choose elemental roles that shape your deckbuilding options for the coming year. These components of the Organized Play program already reinforce the game's commitment to its community, and to them we are adding two new series of events that offer you even greater influence over the game—Elemental Challenges and Elemental Championships! Like the Kotei series events, the Elemental Challenges and Elemental Championships are high-level competitive events that offer you a chance to test yourself against the best of your region's bushi and courtiers. And like the Kotei series events, these events come with a variety of custom prizes, including a chance to reserve your seat at the Winter Court World Championship. 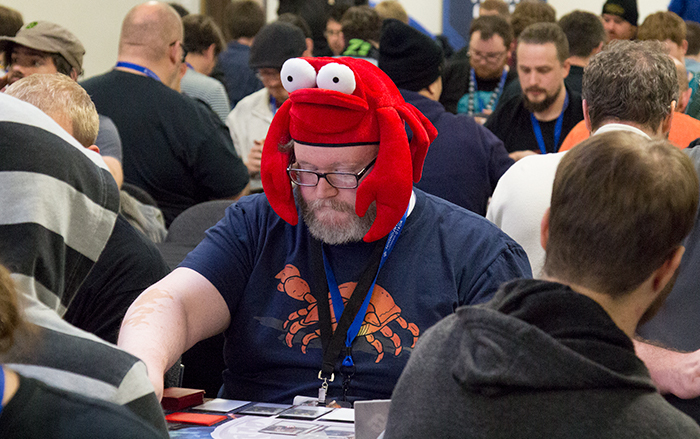 The game's Elemental Challenges will run mainly at conventions and similar events. They are scheduled to begin after Gen Con Indy 2018, and the undefeated players at each Elemental Challenge will each earn a prize bye for a future Elemental Championship. The Elemental Championships are scheduled to begin in January of 2019 and play a role similar to that of the Regional Championships for our other games. We will offer two Elemental Championship phases per year: January through March, and May through July. Each retailer that meets the guidelines established in their territories will be able to host an Elemental Championship in one of those two phases. The winner of each Elemental Championship will earn a reserved seat at the following Winter Court World Championship. 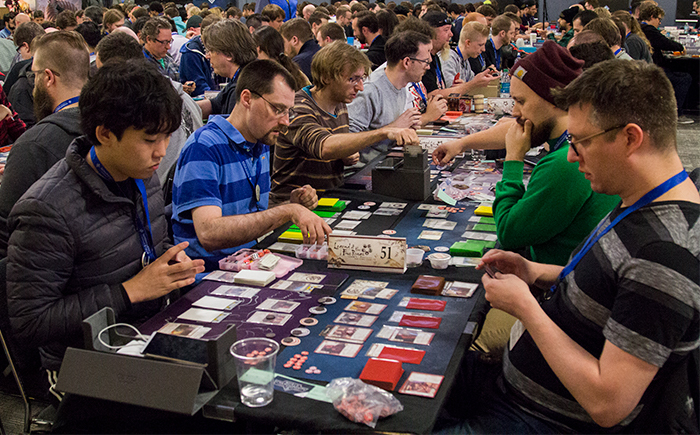 While these events are certainly notable for the competition and prizes they offer, they're perhaps more important because of how they'll impact your deckbuilding options throughout the year. Throughout the Toshi Ranbo Kotei series, players have been competing for Elemental Points, which they knew would earn them an additional elemental role for use at the 2018 Winter Court Winter Championship, as well as an in-store event leading up to it. But with the announcement of the Elemental Challenges and Elemental Championships, we're pleased to reveal that you'll be able to make use of this additional elemental role at all Organized Play events and levels of play! In Legend of the Five Rings: The Card Game, your clan's elemental role dramatically impacts the deckbuilding options available to you, and the introduction of the Elemental Championships is about to dramatically expand those options. Going forward, each clan will gain continued access to two elemental roles. After the last of the Toshi Ranbo Kotei Series events has concluded, clans will have two elemental roles. New roles will be selected three times per year—at the Winter Court World Championship, after the first phase of Elemental Championships, and after the second phase of Elemental Championships. Elemental roles will be staggered so that each is in effect for eight months. The roles chosen after the Elemental Championship phases will be decided by the votes cast by the top performers in those events. The result is that you and your clan will have more deckbuilding options, and they'll change on a regular basis, allowing you to explore a new metagame every four months. Importantly, the changes to these additional elemental roles are driven by the community—they grant you greater control over the fate of your clan. And since these changes will follow upon completion of each cycle's Elemental Championships, you'll have more reason than ever to enjoy Legend of the Five Rings: The Card Game at your favorite local retailer! More Ways to Play. More Ways to Influence the Conflicts of Rokugan. The introduction of the Elemental Challenges and Elemental Championships means that you'll soon have more ways than ever to enjoy the myriad intrigues and conflicts pervading Rokugan, and the introduction of additional elemental roles, alongside the growing number of non-elemental roles, means you'll have more tools at your disposal as you look to respond to those conflicts. We are excited to see what you, the community, will make of these developments. In the meantime, you can find more information about the Elemental Championships, Elemental Challenges, and the game’s elemental roles on the Legend of the Five Rings: The Card Game Organized Play website. Be sure to talk to your local retailer about hosting an Elemental Championship. We are now accepting applications for the 2019 Elemental Championships!